Lil Shaker dropped new music yesterday with a music video directed by Akwaadaa Nyame that sparked some nostalgia within us. The song, aptly titled Throwback talks about the sort of things only 90s babies will really understand. We won’t lie we liked the old school feel to the video, the way it looked like it was being played from a recorder and the battle between the old school and new school shows, dances…it is amazing. And oh maybe it’s just us but his style fit right into his skillion days kinda rap making the whole song, video, lyrics..a big throwback jam! The nostalgic memories this video brought erh…these are the most profound things that had us all up in our feelings from the video. 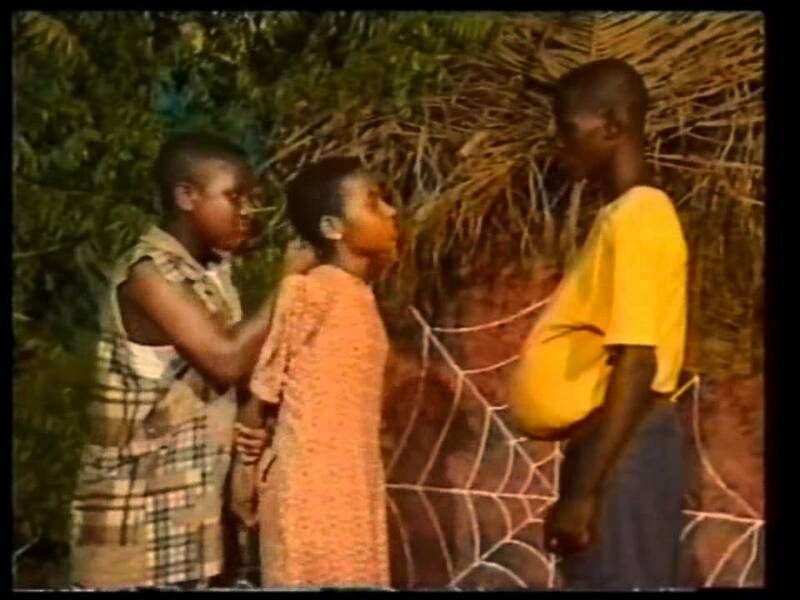 This used to show on GTV somewhere in the 2000s. It was THE show to watch!!! Remember Pusha ooo Pusha???? The original bad boy everyone wanted to be like! No one can deny that they at least attempted to do his walk at some point! Things We Do For Love was an amazing show that educated the young people on the stuff most parents shied away from Sexuality. Refresh walked and cleared the way for Kalyppo to run!! Refresh was the drink you got teased for, for not taking it to school. It was what you made sure your mummy bought for you to sip on during break time. It was a DRINK!! Some of us didn’t really expect a shadout cos we didn’t know anyone in the amanorne but…we loved seeing all these people talk to Nana Adwoa Awindor about how much they missed Ghana and their family!! Watching the Planeteers save the world was so satisfying!! Remember making rings with papers and anything really and pretending to be summoning Captain Planet? That was fun right?!!! By the fireside was some cool show we all used to watch on Saturdays. The storytelling about Ananse’s escapades was high key fire!!! You had to watch it so you’d be able to join in the conversations with your friends in school on Monday!! The 2000s had the best dances charle!! In Shaker’s video, he battled with himself doing the present day dances and lol we think the throwback dances won cos….the shada alone was enough to make an impact!! The duraq, baggy jeans and huge shirts charle!! We love Lil Shaker for bringing all these back to us!! You should watch the video and listen to the song to discover even more things that will make you say herrrhhh this guy!! I remember!!! #10YearChallenge Prepare To Start Rolling On The Floor With Laughter Over These Celebs Throwbacks!